I shared a kitchen with three dozen children over five days of Spring Break, and all I can remember about it now is how much they loved this one recipe. “It’s really, really good,” said one boy, as he ate his third egg. “They’re SO good!” said another. 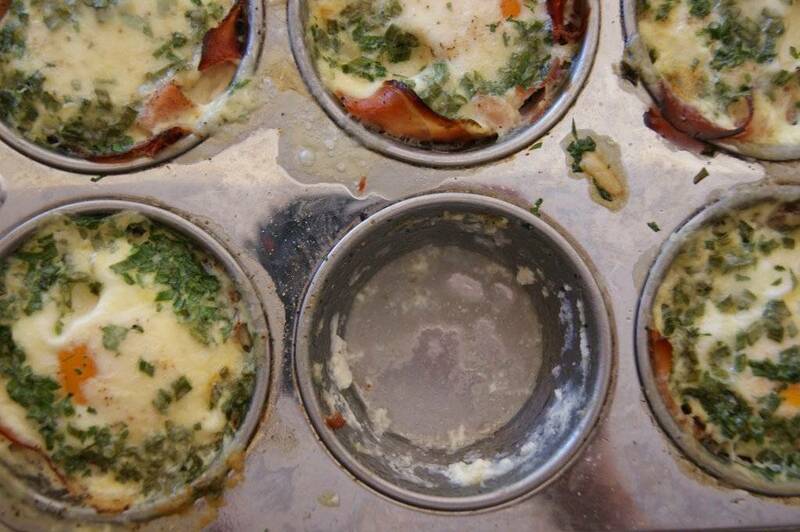 I heard synchronized groans of satisfaction all over the dining hall as the kids downed their Brunchy Baked Eggs. So, this amazingly satisfying moment of kitchen vindication reminded me to share this recipe on the blog. Perfect! Perfect, because: it’s easy; it’s delicious; it’s impressive enough for company (for brunch); the blog needs more recipes in the breakfast archive; and Easter is coming up, that prefect holiday to flog eggy/brunchy recipes. I find this recipe ideal for company or family crowds because you can make a dozen or more at a time, and they can even be made a bit early and served at room temperature. 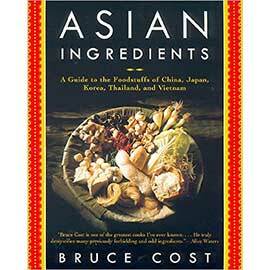 This works perfectly well with any decent supermarket ham (or with spinach leaves, if you do not eat pork). 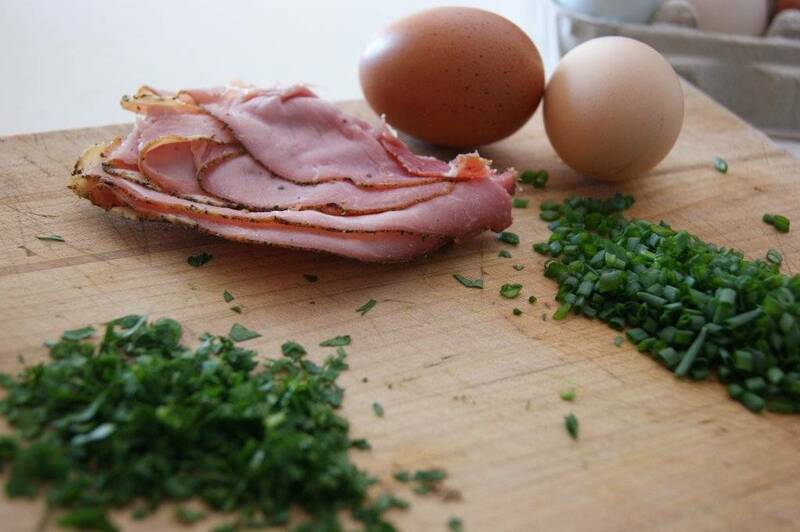 In the pictures, I have use the Jambon de Campagne from Choux Choux – it’s smaller and drier than supermarket ham, so I need to use two slices per egg. 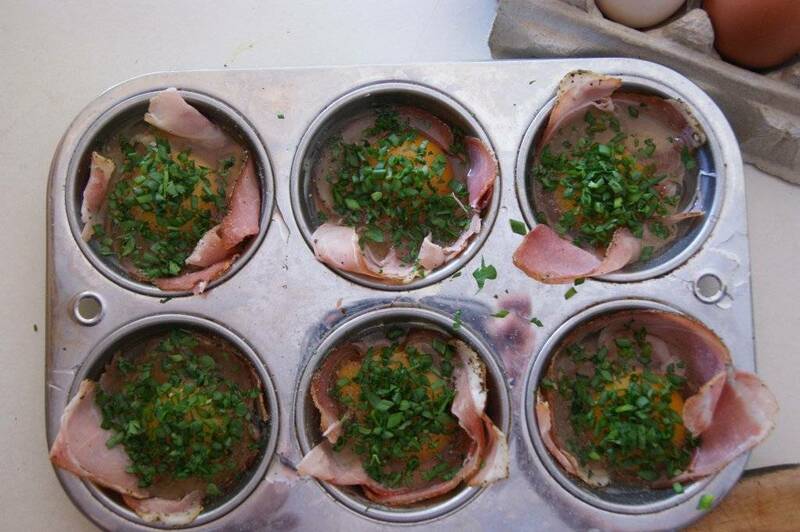 Whichever ham you decide to use, make sure that you get it sliced thin, so that it can fold beautifully into the custard cups or muffins tins and still fit a whole egg on top without spilling over. Makes 6 eggs, to serve 3 to 6 people, depending on the rest of the menu. These can be made up to 30 minutes in advanced, if desired. Use spinach leaves in place of the ham if you do not eat pork. 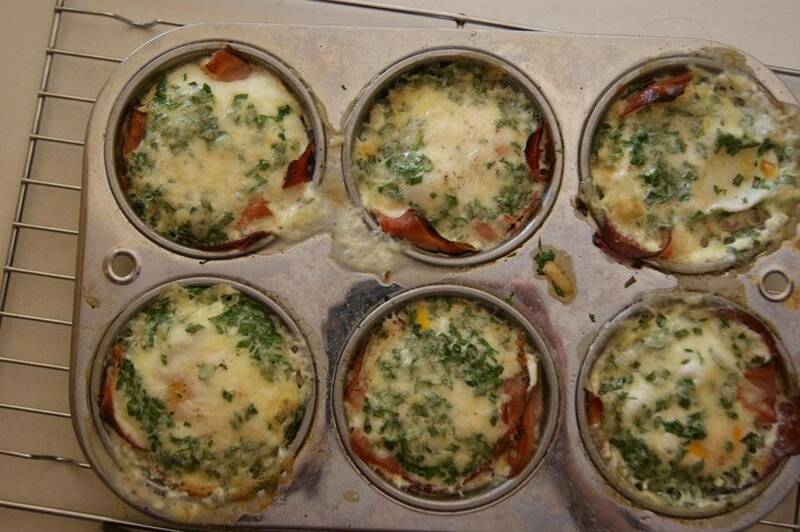 Preheat oven to 325 F. Grease 6 ovenproof ramekins or a 6 cup metal muffins tin. 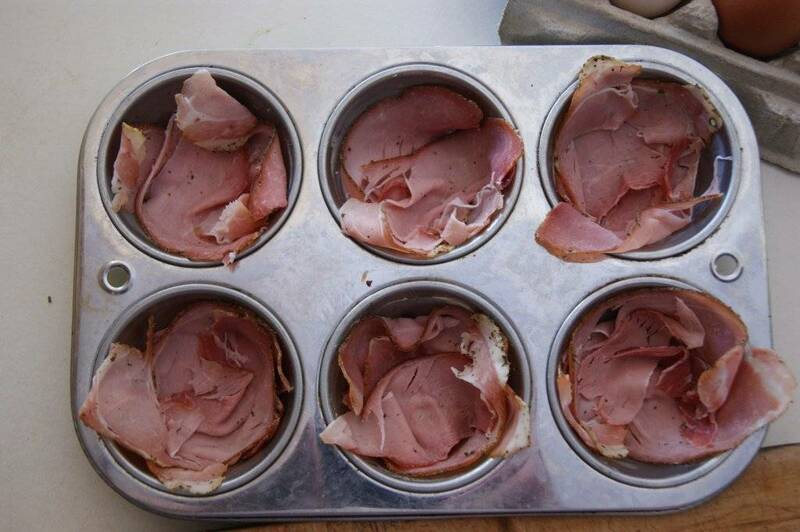 Add slices of ham to cover the bottom and up the sides of the muffin tins. OR use spinach leaves if you don’t want to use ham. 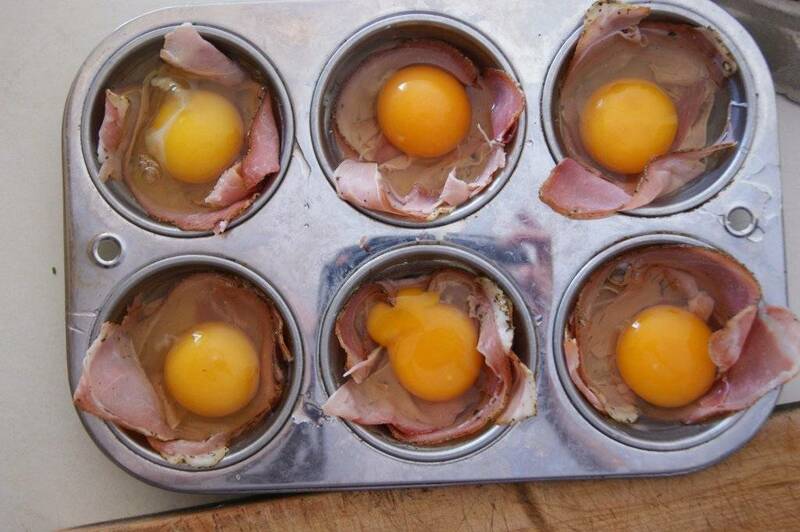 Crack one egg into each of the prepared ramekins or tins. 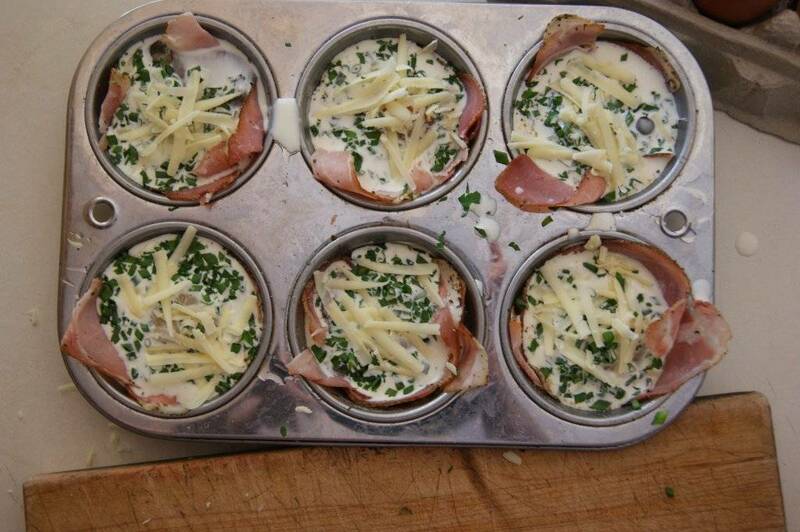 Sprinkle the tops of the eggs with salt, pepper, and herbs. 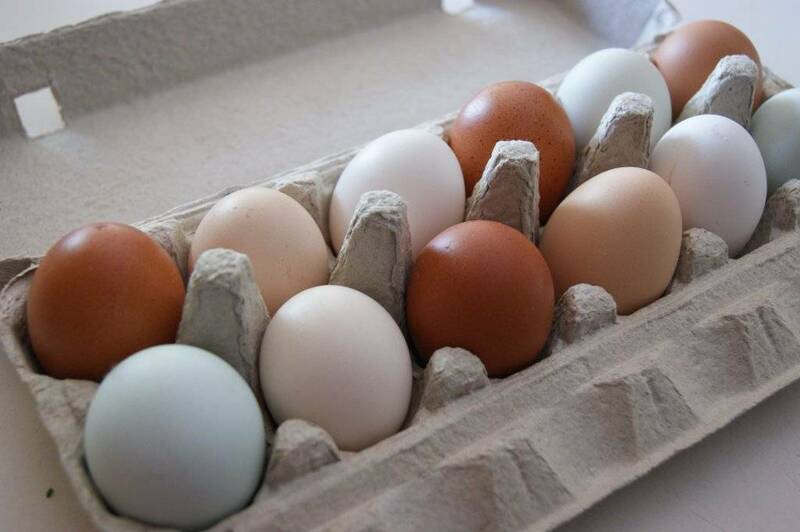 Top each egg with 2 tsp cream or creme fraiche. Sprinkle with cheese, if using. 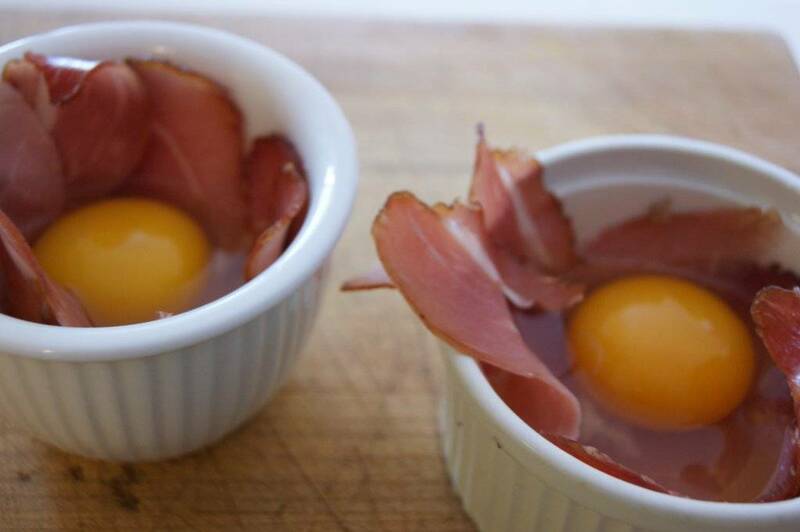 Place pan or ramekins in the oven (if using individual ramekins, place them on a baking sheet) and bake for 15-17 minutes for soft-cooked yolks, or 20-22 minutes for firm yolks. Remove muffin pan or tray of ramekins to a cooling rack and let sit for a minimum of 2 minutes, and up to 10 minutes, before serving. 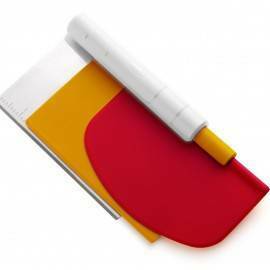 Run knife around edges to loosen ham. Serve immediately, with a nice brunchy spread : toast, jam, fruit, pancakes, yogurt, the works. Tried for lunch today and delish! I made these and they were delicious! They are so easy to make, yet look so fancy – like something you would get in a good restaurant. My husband liked them so much he asked me to make them again the next morning. 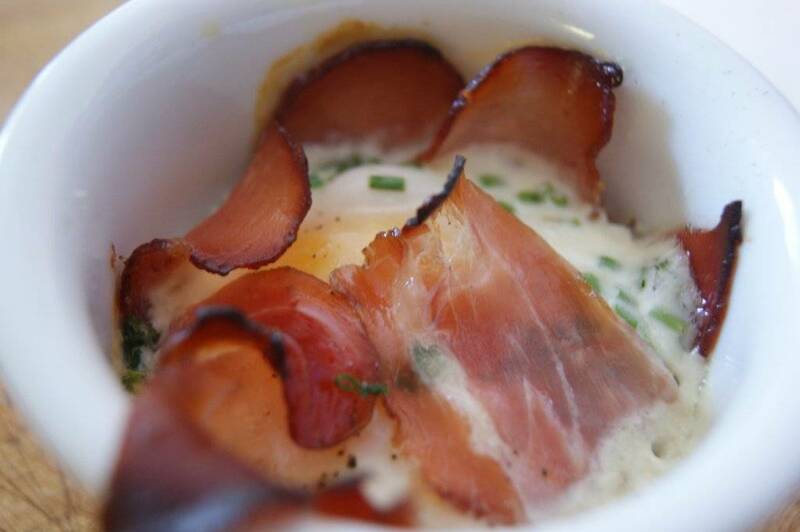 I think it is the easiest way I’ve ever cooked eggs and ham. I don’t even care for eggs myself and only eat them occassionally eat them, but even I like these! Hello, roomate! I’ve been perusing your blog, since we will be rooming together this up coming weekend, in order to know who I’m rooming with. 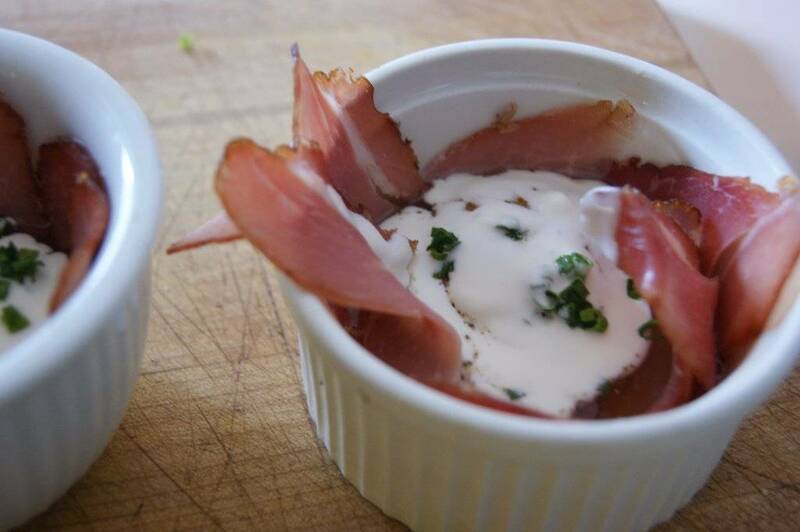 I love this recipe, I keep trying to do this with bacon, and it never works out how I want it! 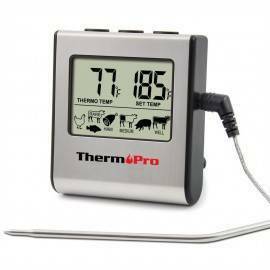 Of course, ham will make it so much easier. Why didn’t I think of that? Looking forward to meeting you! PS, I would use the ham and the spinach too.